Bossier City has been selected as a top retirement destination by Where to Retire, the only magazine in America geared toward helping people with retirement relocation decisions. Bossier City is profiled in a feature titled “8 Veteran-Friendly Cities” in the May/June 2019 issue, available nationwide now. 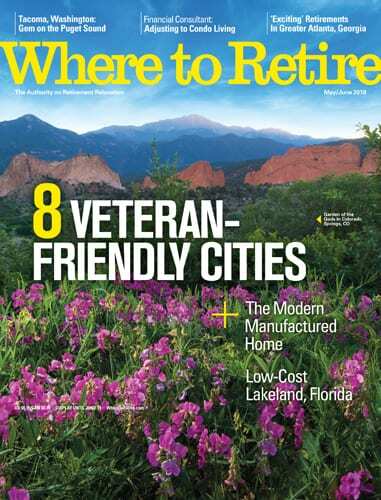 Where to Retire Editor Annette Fuller said these eight cities are attractive to military personnel and their families. Where to Retire has covered hundreds of the best retirement regions, towns and master-planned communities since 1992. The magazine is published six times a year and has a national circulation of 200,000.